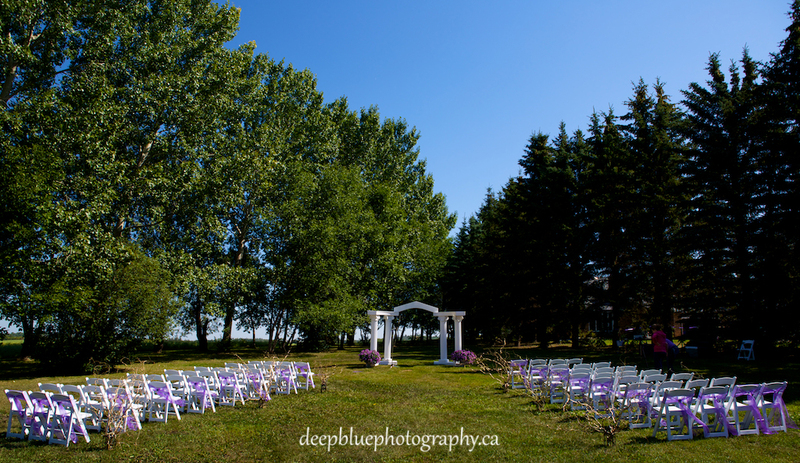 Tara and Tyler’s wedding ceremony was held on the back garden of their beautiful farm near Wetaskiwin Alberta. 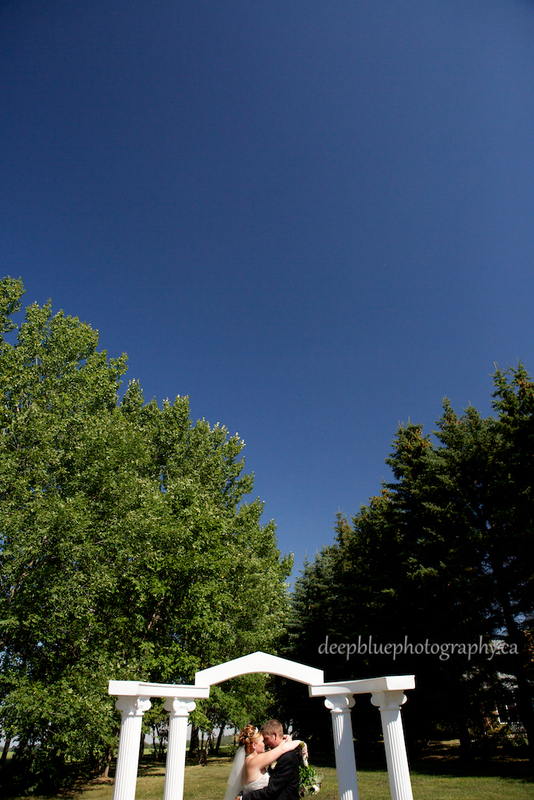 It was a true country wedding, complete with cowboy boots, hats and a stunning bride riding in on horseback. Tara was all smiles as she stepped up into the stirrups (in stilettos, because she is AMAZING!) of her horse Babe, who had a special outfit made just for that day. 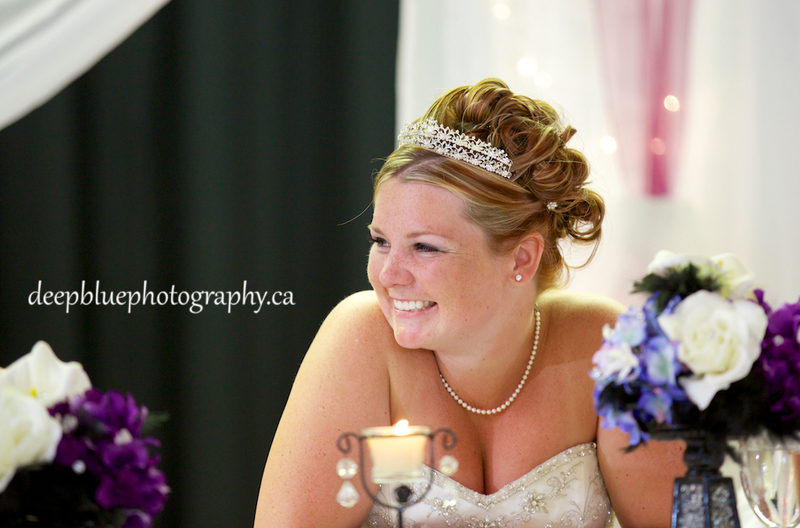 Tara had kept it a secret from her guests that she would be coming into the ceremony on horseback. 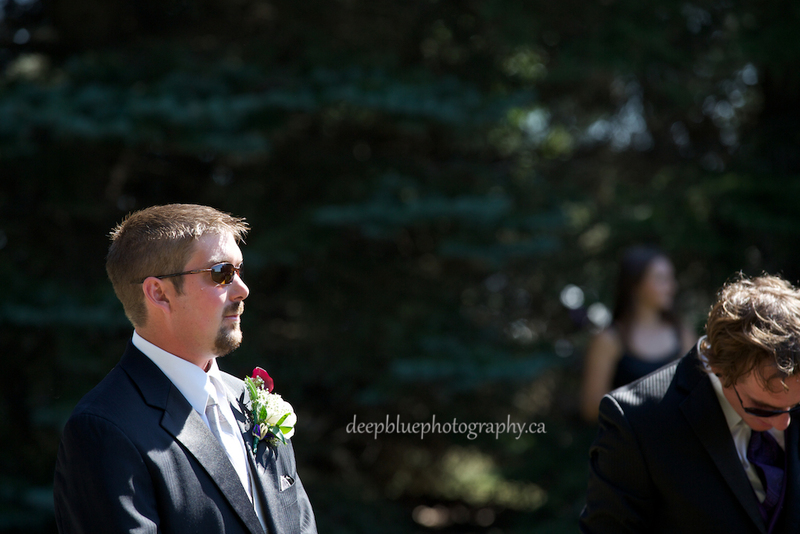 It was like a scene from a fairytale as Tara and Babe entered the garden. 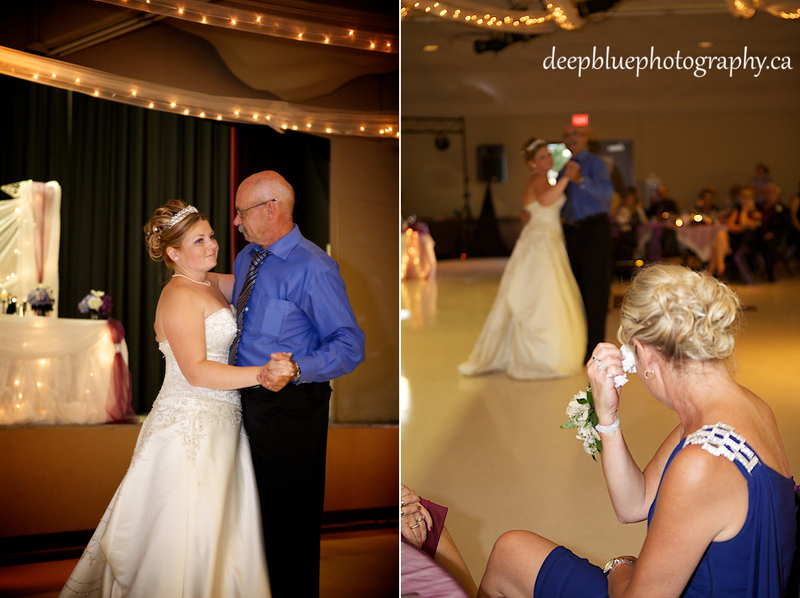 All eyes were on this breath taking bride, but the only one she could see was her Tyler, waiting for her at the end of the aisle. 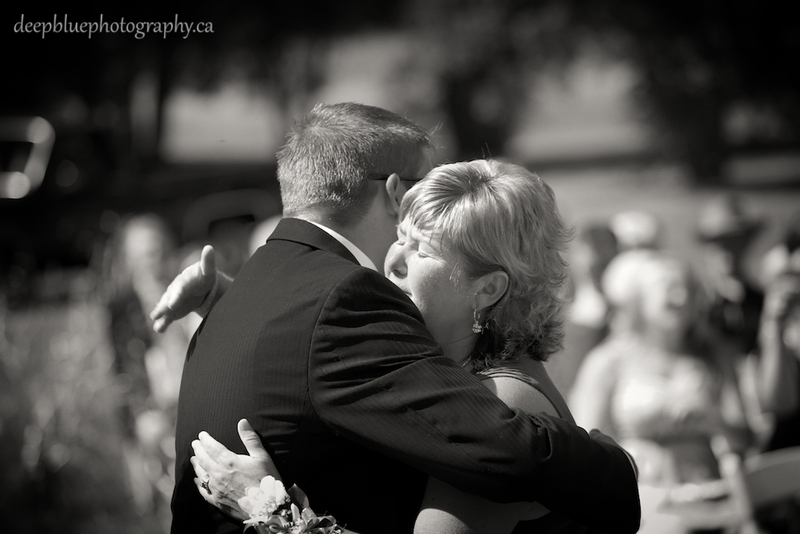 Her father helped her down from the horse, and with her parents by her side Tara walked in to meet her love. 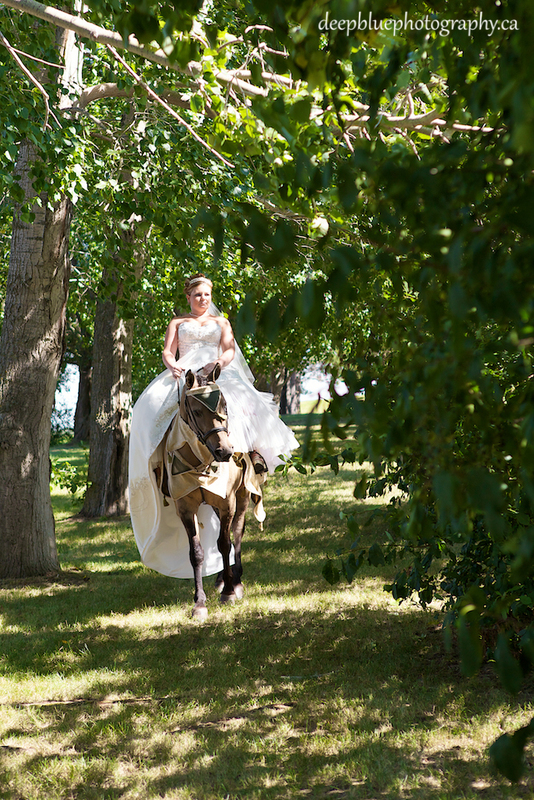 We love that Tara rocked her wedding entrance, it is not every day that a bride enters on horseback. 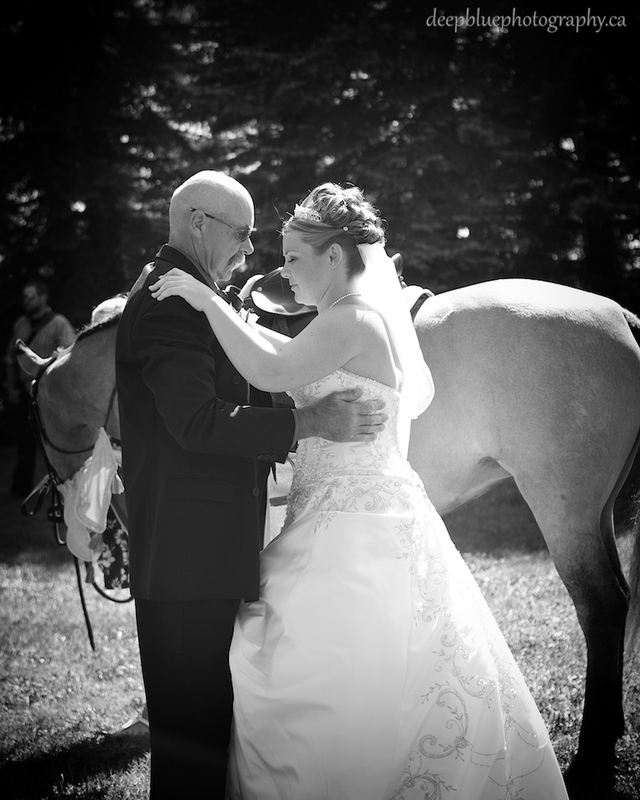 Her love of all things horses made this western theme wedding come alive. 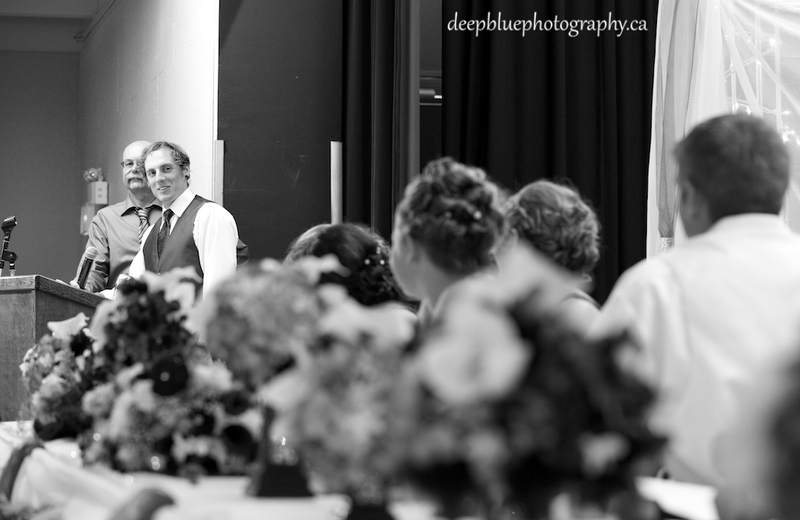 The theme continued through out the day, this was an authentically country wedding. 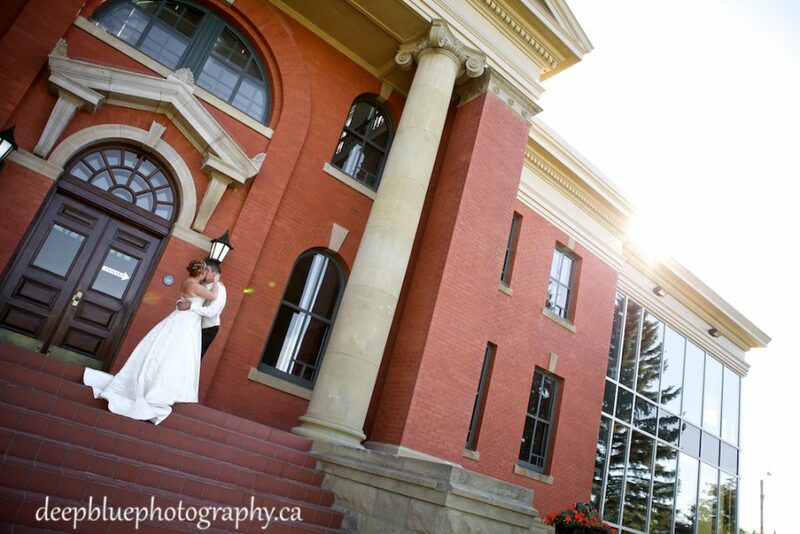 A big country wedding reception was held at the Wetaskiwin Memorial Arts Centre. 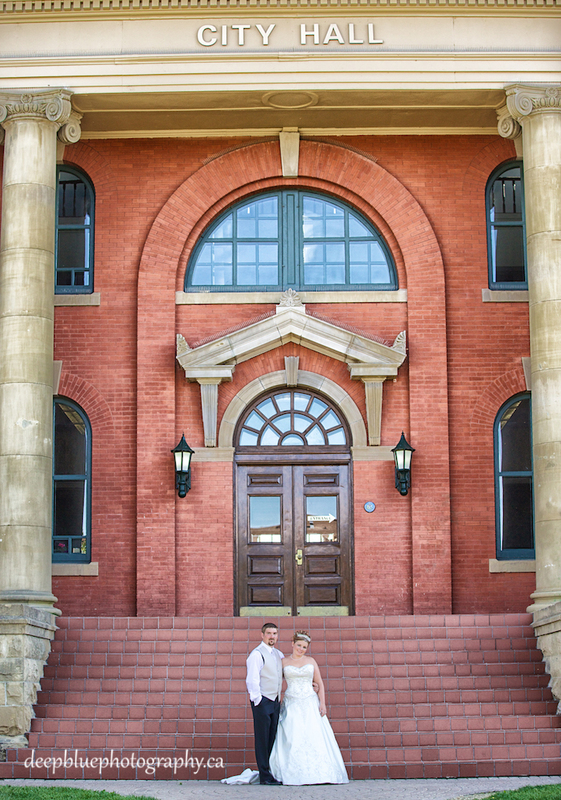 This local landmark is the perfect venue for a big reception and dance party. 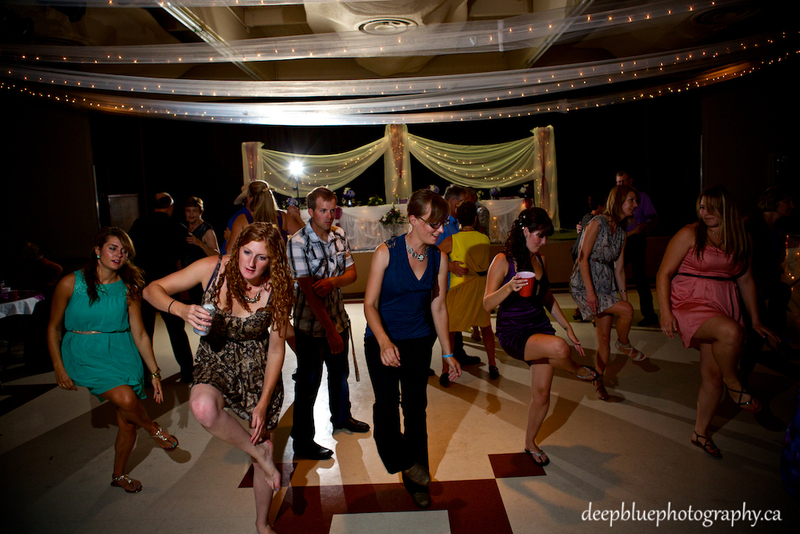 Friends and family filled the hall with love, laughter and a whole lot of two-stepping. 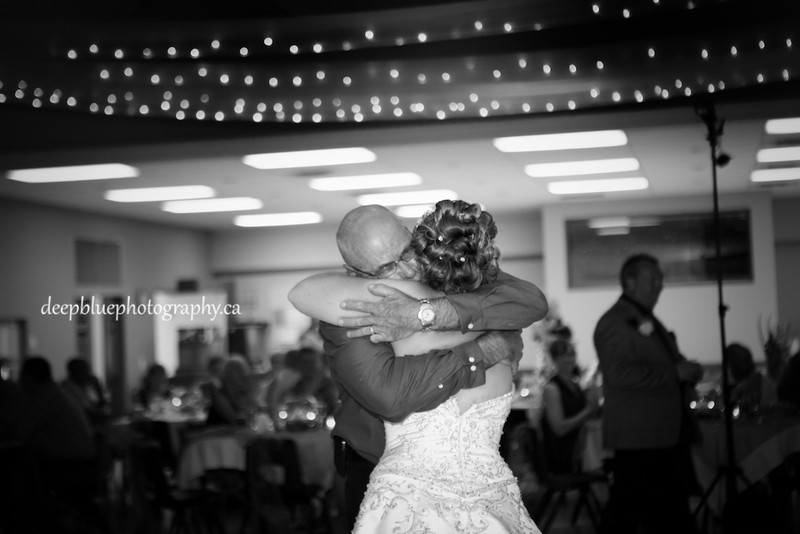 This wedding was the complete package – love, romance and a great big party! 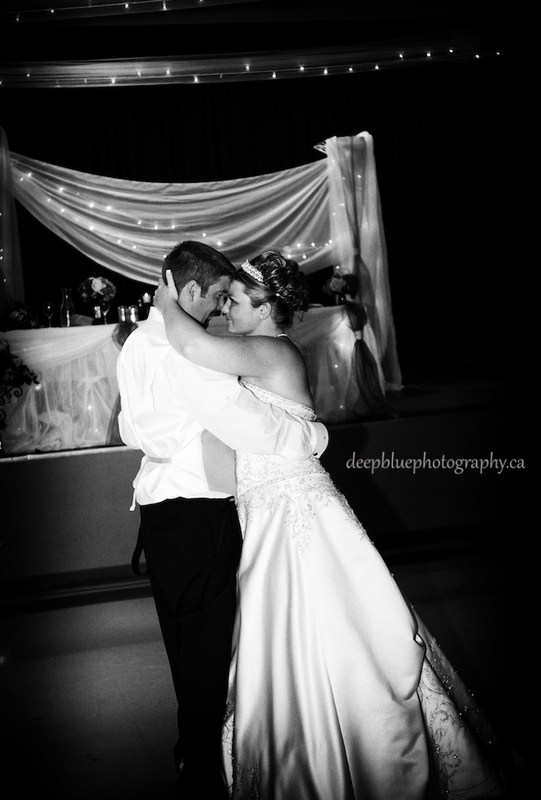 Thank you for trusting your Wetaskiwin wedding photography to Deep Blue Photography! 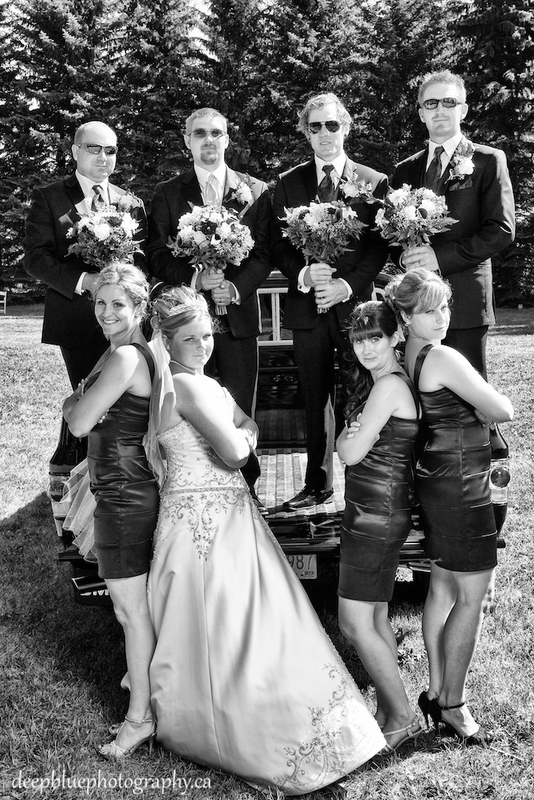 For more beautiful wedding photos, please check out our website and portfolio featuring many more epic wedding parties. 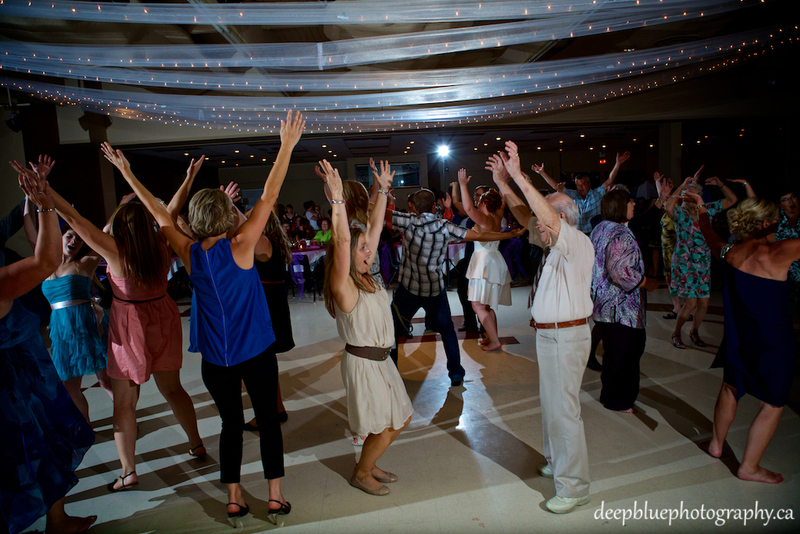 Tara & Tyler sure know how to throw a party!